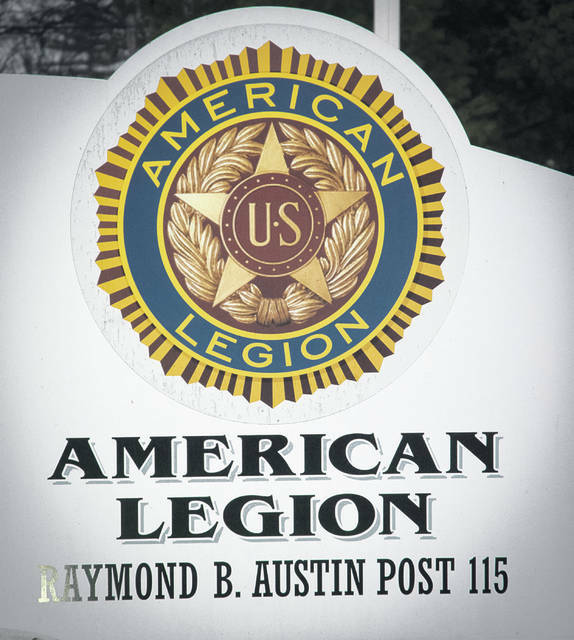 At the heart of the four primary pillars of volunteerism to veterans, defense, youth, and Americanism of the Raymond B. Austin American Legion Post 115 is the community. However, the post is aging and an infusion of more youthful members is needed to keep serving the community. At the end of World War I, the veterans of the 42nd Rainbow Division, 1st Battalion, 166th Infantry signed a charter to establish the Raymond B. Austin American Legion Post 115 on Sept. 30, 1919. Now, nearly a 100 years later, the Legionaries of Post 115 continue to serve and support the Delaware community. Hyatt said the American Legion is built on strengthening the nation through the four primary pillars of volunteerism to veterans, defense, youth and Americanism. He said the community is at the heart of the four pillars. However, Hyatt said many of the Legionaries of the Raymond B. Austin Post 115 are now in their late 60s, 70s, 80s and a couple in their 90s. He said without an infusion of new membership in the next few years, the legacy organization will have to close the doors. Hyatt said there is one 90 year old, World War I veteran who still comes to the meetings with two or three now inactive. He said in the last couple of years, 15-20 members have passed away. Last year, Post 115 brought the traveling exhibit “The Eyes of Freedom: Lima Company Memorial” to Delaware. However, Hyatt said, the post has seen a little success as of late. He said they are getting calls from people with questions about holding memorial services or asking to rent the room for an event or they are asking about upcoming events at the post. Hyatt said the lunch is open to the public every day, and there is a pancake breakfast on Saturdays. In the future, Hyatt said the Legionaries are looking into sponsoring sports teams, holding a blood drive, and maybe even starting a Yoga class. The American Legion Raymond B. Austin Post 115 is located at 485 Park Ave., Delaware. https://www.delgazette.com/wp-content/uploads/sites/40/2019/04/web1_DSC_7658-copy.jpgAt the heart of the four primary pillars of volunteerism to veterans, defense, youth, and Americanism of the Raymond B. Austin American Legion Post 115 is the community. However, the post is aging and an infusion of more youthful members is needed to keep serving the community. This entry was tagged American Legion Raymond B. Austin Post 115, D. Anthony Botkin, David Hyatt. Bookmark the permalink.